Hallelujah! The 2019 Oscar Run is finally off and running! My annual trek to catch the 2018 Academy Award nominees for 10 major categories has officially begun with this week’s selection of movies. While I did not get to see quite as many films this past week as I hoped, I made good use of the free time I had. Here are my thoughts on what films I added to the 2019 movie review book for the week of January 28. And if you’ve seen any of them, I’d love to hear your thoughts about them, too. As always, thanks for reading. ~ Chris K.
The first of my Oscar Run stops this week offers an intimate look at a 30-year marriage – its vulnerabilities and strengths, bitterness and tenderness, secrets and celebrations. We meet Joe and Joan Castleman (played by Pryce and Close, respectively), the first, an acclaimed author being awarded the ultimate prize, the Nobel prize for literature. Most of the film follows their journey to the award ceremony, and as viewers we get to witness both their public and private moments as we are introduced to the dynamics of this couple. The film has a quietness about it yet the audience feels there are underlying emotions being kept under wraps though we’re not quite sure the nature of them. I especially enjoyed flashbacks to the couple’s early interactions as a college professor/aspiring writer and his lovely student who is a gifted writer (with Close’s daughter Annie Starke playing the young Joan). Starke is believable in the role played in tandem with Close. But it is the chemistry onscreen between Close and Pryce that draws the viewer to want to know more — why does this marriage work? Pryce’s character gives audiences every reason to wonder what compels Close’s character to stay. As the film unfolds, we learn much more about what is behind this couple’s dynamic. This is not the fastest-paced film you’re going to see but the acting is quite good and the story, intriguing enough that it kept my interest. I saw this one for Close’s Best Actress nom but in other years, I could easily see Pryce nominated for best actor. Perhaps the field of contenders was too well-stocked this year. Good film. And though I haven’t seen the other Best Actress contenders yet, I could absolutely see why Glenn Close might win Best Actress. I saw this one to check off one of the Original Screenplay Oscar nominees for 2018, but I am very surprised that Ethan Hawke was not nominated for this film. In probably his strongest performance to date, Hawke plays a pastor of a historical church about to celebrate a significant milestone when a young couple who are environmental activists enter his orbit and not only bring to the surface some of his own darkness and doubts but change his life in many ways. Seyfried plays the young woman in that couple and is strong in the role, and Cedric Kyles (better known as Cedric the Entertainer) is cast as the leader of the superchurch which oversees the smaller church. Kyles is effective, too, but it Hawke who drives this film completely, and I must say that while the film started off surprisingly strong, I found it sluggish as it neared its end. Acting is top-notch and the story, unique – I definitely haven’t seen a film willing to tackle some of the discussions and journal confessions laid out here. Perhaps that is why the screenplay got noticed, but it is a shame that Hawke isn’t being recognized for a really strong performance. This one was such a pleasant surprise for me! You see, I am one of the rare people who did not enjoy THE INCREDIBLES. When I look back now, I probably wasn’t fair to the film and set far too high of expectations but I was disappointed with the original. It felt like just a cartoon ripoff of all of my favorite Marvel and D.C. universe characters. 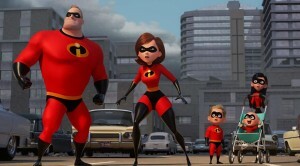 My first film experience with this superhero family may have led me to have no expectations when I entered this new adventure. And what an adventure it is! The animation is beautiful – exquisite action sequences that rival any of the Tom Cruises’s best MISSION: IMPOSSIBLE sequences. What a fun, exciting and hilarious (at times) film. I really enjoyed this sequel so much more than the original – particularly, the kids. Bob Odenkirk and Catherine Keener are terrific as new characters introduced who are setting out to refresh the image of superheroes in local communities who have since forced most of them to go back into hiding because of unexpected consequences and damages caused by those superheroes when they’re doing their job. (If you saw the first Superman reboot with Henry Cavill, MAN OF STEEL, you know exactly what kind of damage a hero can do when he’s trying to save everybody. He nearly destroyed Metropolis single-handedly trying to catch the bad guy!) 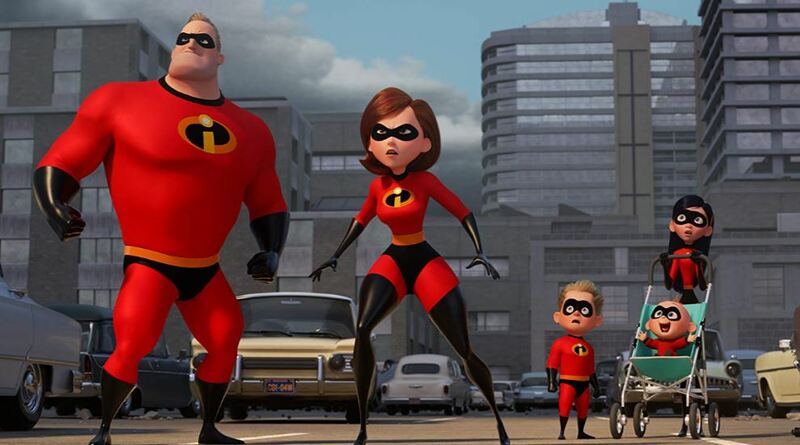 INCREDIBLES 2 is nominated for Best Animated Feature, and this is the reason for my catching it on this year’s Oscar Run. So I’ve seen only 2 of the five nominees and this one definitely tops ISLE OF DOGS. (You can read my review of that previous screening by clicking here.) I highly recommend this latest visit with the Parr family which is anything but subpar! 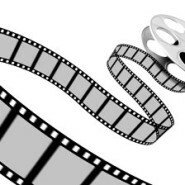 Share the post "Movie Mondays ~ Monday, February 4, 2019"